Amyloid beta is a normal protein peptide in the human brain, but these particles are chemically “sticky” and gradually build up into plaques, or tough fibril-like structures called amyloid plaques in the brains of people developing Alzheimer's disease. 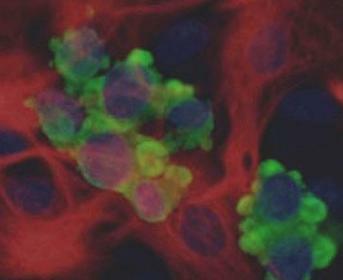 The small clumps may block cell-to-cell signaling at synapses. They may also activate immune system cells that trigger inflammation in the brain. Because amyloid beta starts to accumulate in the brain decades before the onset of dementia, ADRC researchers see a window of opportunity to leverage lifestyle changes or new medications to intervene in this early disease process. Clinical trial efforts are underway, at sites such as the ADRC, to test the efficacy of drugs to remove or prevent amyloid beta buildup, and their potential to reduce or delay the onset of cognitive impairment. A brain scanning technology that reveals the presence and depostion of amyloid proteins in the brains of living people. It aids in the accurate diagnosis of Alzheimer's disease, which previously could be diagnosed with accuracy only after a patient's death. In the absence of a PET imaging test, Alzheimer's disease can be difficult to distinguish from vascular dementia or other forms of dementia that affect older people. A loss of the ability to produce and/or understand language due to injury to brain areas specialized for these functions. One example is a frontotemporal disorder, primary progressive aphasia. The loss of the ability to perform tasks that require remembering patterns or sequences of movements (like giving a salute). Demonstrating an agreement to participate in research by actively and willingly taking part in the research. People with memory loss or Alzheimer's disease may be legally unable to consent to research participation, but they must assent to participation. This means that although they are unable to legally consent, they will not be forced to participate. A common feature of many of the diseases that affect the brain. In brain tissue, atrophy means a loss of neurons and the connections between them. The particular pattern of brain atrophy, or the affected regions of the brain, determines the nature of the symptoms. Biomarkers are measures of what is happening inside the living body, shown by the results of laboratory and imaging tests. Some examples are elevated PSA levels, which may indicate prostate cancer, and elevated blood pressure readings, which may indicate high blood pressure. In Alzheimer's disease research, biomarkers are markers in the blood, spinal fluid, levels of amyloid or tau pathology in the brain, patterns of brain activity on functional MRI scan, or scores on cognitive tests. Our research aims to identify specific biomarkers that definitively indicate whether people have Alzheimer’s disease or whether they may be at risk of developing dementia sometime in the future. A research study that is designed to answer specific questions about the safety and effectiveness of new therapies or new ways of using known treatments. A process in which ADRC psychiatrists, neurologists, neuropsychologists, expert memory testers, clinical nurses, and research social workers discuss the findings from a research appointment and assign a research participant a diagnosis. A healthy person with no memory complaints. Researchers are interested in studying control participants because they provide an example of normal brain aging to compare to the aging process that occurs in people with dementia. Data that are labeled with a study code and contain no personal or identifying information which could link a particular research participant to a specific group of data. The complex molecule that holds the “blueprint” for your body to make proteins. 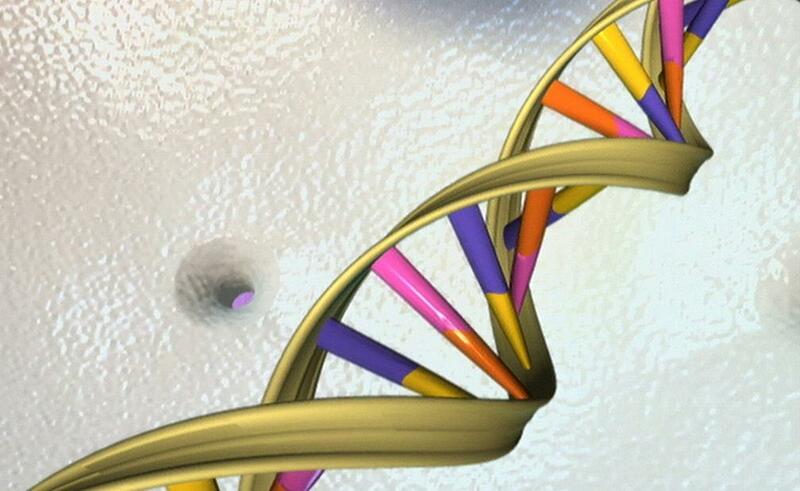 A gene is a specific subunit of DNA that codes for a specific protein. A clinical trial design in which neither the research participants nor the study staff know which participants are receiving the experimental medication and which participants are receiving a placebo (an inactive substance that looks identical to the experimental medication but has no pharmacological effect) or another therapy. Double-blind trials are thought to produce objective results because the expectations of researchers and participants about the experimental drugs' effectiveness do not affect the outcome of the trials. A document that names a person to handle all of another person's affairs if that person becomes incapacitated. For people with Alzheimer's disease, especially those who participate in research, it is important that a family member or friend has obtained a notarized Durable Power of Attorney form regarding medical decision making. The medical or social standards determining whether a person may or may not be allowed to enter a clinical trial. These criteria are based on such factors as age, gender, the type and stage of a disease, previous treatment history, and other medical conditions. It is important to note that inclusion and exclusion criteria are not used to reject people personally, but rather to identify appropriate participants and keep them safe. An uncommon form of Alzheimer's disease (3% of cases) that usually onsets earlier in life (defined as before the age of 65, usually between 50 and 65 years of age) and is caused by a genetic mutation inherited in an autosomal dominant fashion. See Genetics. The umbrella term for the clinical syndromes of behavioral variant frontotemporal dementia (bvFTD), semantic dementia (SD) and progressive non-fluent aphasia (PNFA), which all affect the frontal and temoral lobes of the brain. This term is sometimes used to refer specifically to bvFTD. A term that describes the specific pathological diseases, characterized by tau, TDP-43, or FUS, that result in frontotemporal disorders. 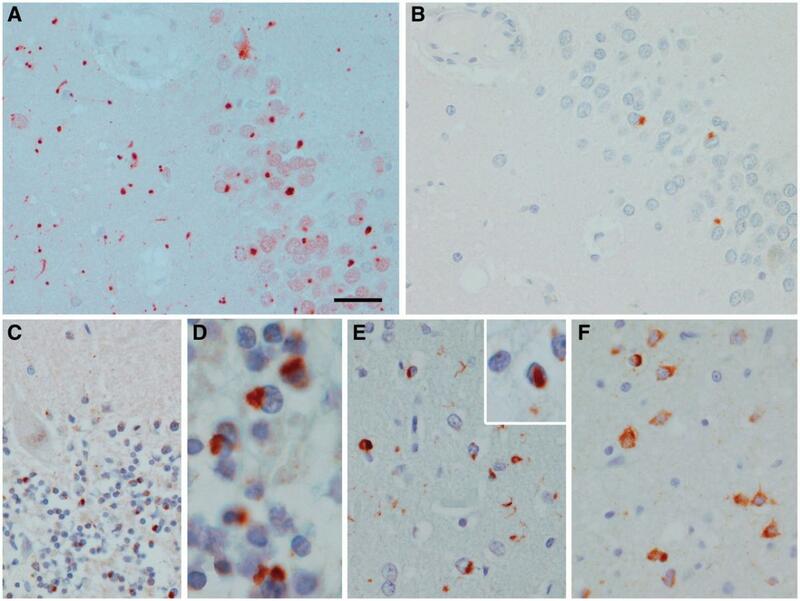 Subtyping is based on the specific proteins found within neuronal inclusions. The process of educating and legally protecting people who participate in research before deciding whether or not to participate. At the ADRC, this process begins with a research nurse explaining the basics of our research over the phone. Before arriving for a visit at the ADRC, participants receive documents known as consent forms; these forms thoroughly describe the procedures, tests, data collection, and privacy protection of the study. When participants arrive for their first appointment, we will begin by reviewing these forms and fully answering any questions about study participation. Informed consent is also meant to ensure participant safety and to prevent unethical research on vulnerable populations. Our researchers take seriously the declining memory and cognitive ability of people with memory loss. We evaluate each participant's ability to understand the research process, and if participants are unable to provide informed consent because of problems with memory or confusion, authorized legal representatives may be able to give permission in their place. In instances where authorized legal representatives provide informed consent for participants, we will only enroll and perform procedures with participants if they assent to the research; that is, they must be active and willing participants. See Participation in Research & Brain Donation. A committee of physicians, statisticians, researchers, community advocates, and others that ensures that a clinical trial is ethical and that the rights of study participants are protected. All clinical trials in the United States must be approved by an IRB before they begin conducting research; they are also regulated by periodic IRB reviews. A person who is legally able to make decisions on behalf of someone else. This capacity is commonly given in a Durable Power of Attorney form. In terms of their appearance, Lewy bodies are too small to see with the naked eye, but through the lens of a microscope, they typically appear as round bodies surrounded by a lighter halo. Lewy bodies are a buildup of a protein called alpha-synuclein, though the reason that these protein aggregations form in some brain cells and not others is still unclear and a matter of ongoing research. This pathology is involved in dementia with Lewy bodies and Parkinson's disease dementia. A brief 30-point cognitive test that is used to screen for cognitive impairment. It is commonly used as a screen for dementia. It is also used to estimate the severity of impairment at a given point in time and to follow the course of changes in memory and other thinking functions in an individual over time. 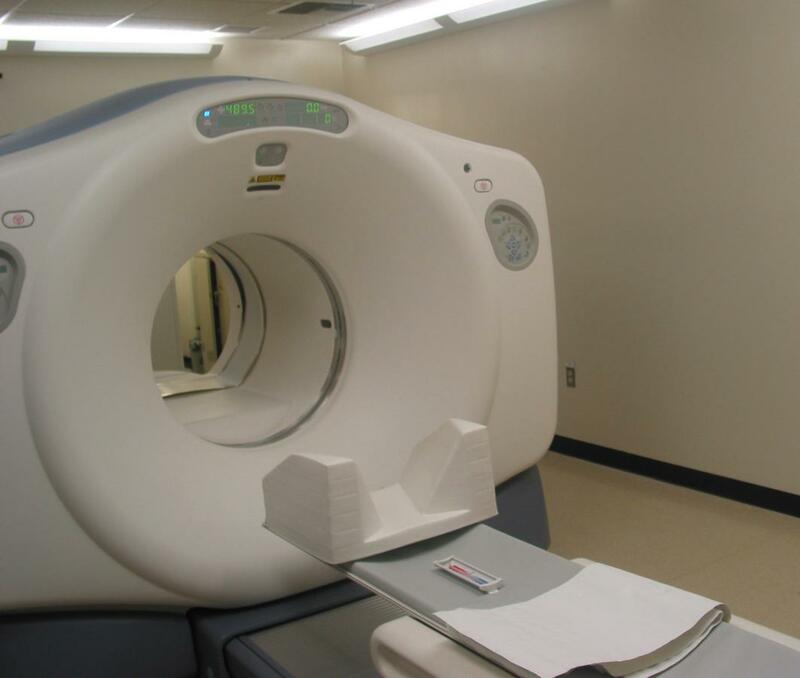 A non-invasive imaging technology that produces three dimensional detailed anatomical images without the use of damaging radiation. It is often used for disease detection, diagnosis, and treatment monitoring. It is based on technology that excites and detects the change in the direction of the rotational axis of protons found in the water that makes up living tissues. A set of several clinically recognizable neurologic features, characterized by tremor, decreased bodily movement, rigidity, and postural instability. Expanded controlled and uncontrolled trials that are conducted after preliminary evidence suggesting effectiveness of the drug has been obtained and that aim to gather additional information to evaluate the overall benefit-risk relationship of the medications and provide an adequate basis for prescribing the medications. These trials may include patients and/or healthy control participants. Controlled clinical studies that aim to evaluate the effectiveness of medications for a particular symptom or set of symptoms in patients with the condition that is being studied and to determine the common short-term side effects and risks of the medications. These trials may include patients and/or healthy control participants. Initial studies that aim to determine the metabolism and pharmacological actions of medications in humans, to identify the side effects associated with increasing doses, and to gain early evidence of effectiveness. These trials may include patients and/or healthy control participants. An inactive substance that looks identical to an active experimental medication but has no pharmacological effect. Comparing the results from participants taking experimental medications and participants taking placebos may indicate whether changes in the experimental medication group are a result of the treatment. A method based on chance by which study participants are assigned to research groups, for example, to groups that receive experimental medications and groups that receive a placebo (an inactive substance that looks identical to an active experimental medication but has no pharmacological effect). By equally distributing people with particular characteristics among all the trial groups, randomization controls for differences that researchers are not interested in studying. A facility where a collection of biological samples (like blood or CSF) is stored. A large collection of people who are interested in participating in research studies. A registry maintains updated medical records on participants and informs participants when they may be eligible for particular research studies. Anyone who knows the research participant well and is able to answer potentially sensitive questions about the participant's daily functioning and behavior. For most people, this is a spouse or a child, but the study companion can also be a close friend or a neighbor. An organization that provides funding for a study and monitors the funded studies to ensure compliance with the research protocol. Study sponsors are commonly government agencies, not-for-profit science organizations, and pharmaceutical companies. A protein in the body that aids in stabilizing the proteins that support the structure and shape of neurons and cellular transportation. Tau are abundant in neurons in the central nervous system and are less common elsewhere. Misfolded tau can no longer stabilize microtubules, and this pathology may harm brain cells. Researchers are currently investigating how the later accumulation of tangles of tau proteins interacts with existing a-beta plaques in the disease progression. Emerging evidence from tau PET imaging has revealed that the pattern of tau correlates tightly to brain atrophy, and even the nature of cognitive decline. For example, research shows that patients with word-finding difficulties tend to have more tau in the left hemisphere of the cortex, which processes language. 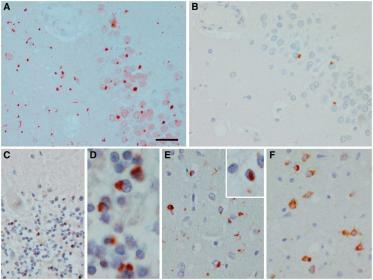 About 40% of people with frontotemporal dementia have tau-positive inclusions. Tau inclusions also appear in the brains of people with corticobasal degeneration (CBD) and progressive supranuclear palsy (PSP). A newer application of Positron Emission Tomography (PET) imaging, which can show the spread and deposition of tau proteins in the brain of living individuals. Participating out one's own free will, without compulsion or obligation, and having the power to end participation whenever someone chooses. All of our research at the ADRC is voluntary.